Long live the indie rock! 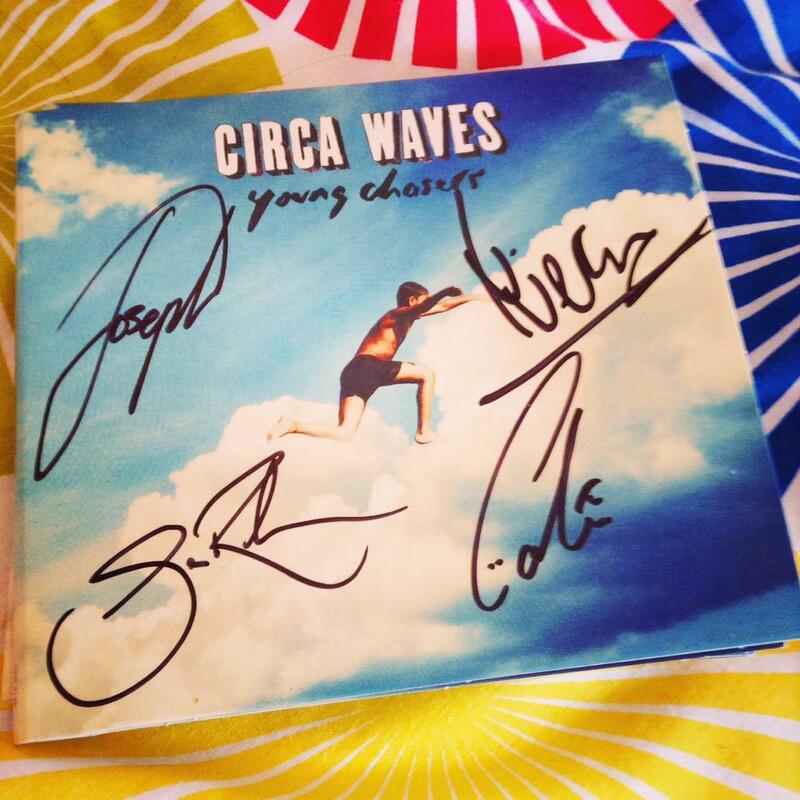 Regular readers of this blog shouldn’t be particularly surprised by my choice of album this week - the debut album, Young Chasers , from Circa Waves. In a world of dance/electro/pop/R’n’B music, I seek out the rock bands. But where Circa Waves deviate from my usual fare, is in the way they make me feel nostalgic for the music of 10 years ago. Their debut album feels like what indie rock is all about, reminiscent of bands like The Kooks and The Strokes. It may not be new or ground-breaking, but it’s music that I never realised I missed until now. The album is summery and bouncy from start to finish, infused with a sense of youthful exuberance. It makes me think of roof-down road trips and adolescent romps through the streets. It makes me want to get up and dance, and not care what anyone thinks. Lyrically, the themes are nothing too complex - youth, girls, sunshine, fun - but sometimes that’s all you need. Sometimes music should let you forget about the big, real world problems (and I have plenty of other bands that write about those), and just have fun for a while. There are some more melancholic tones too though, mostly lamenting lost love or youth passing by too quickly and feeling nostalgic for it, which should resonate a lot with teens and young adults. It’s not avant-garde, flashy or showy - it’s four lads playing guitars in their back garden. It’s the bare bones of what music should be. The opening track, ‘Get Away', kicks off with a fun, catchy riff, and images of festival crowds singing along. Title track, ‘Young Chasers’, has a relentless, riotous feel to it, pounding with raw teenage energy. My personal favourite, ’T-Shirt Weather’, makes you long for summer sunshine, open roads, and days and days of endless possibilities. ‘Deserve This’ is a somewhat more relaxed track, a lazy, laid-back song in the midst of a fast-paced record, while ‘Best Years’ reminds us that youth doesn’t last forever, so make the most of it while you can. And making the most of it is exactly what I intend to do with this album. If you need me over the next few days, I’ll be dancing around my room, lost in a haze of bouncy guitar riffs, longing for summer to hurry up, and feeling nostalgic for the heyday of indie rock. But thankfully, in Young Chasers it lives on.